On our past bus trip to Malawi we announced that Greater Grace Church provided the entertainment on the bus freely; we then proceeded to show them “Fireproof “ and “Courageous” (The Christian films from Sherwood Bible Church). Fireproof was very effective. People were overwhelmed with the story of self-sacrificial love in a marriage. Many asked us for copies of the films. 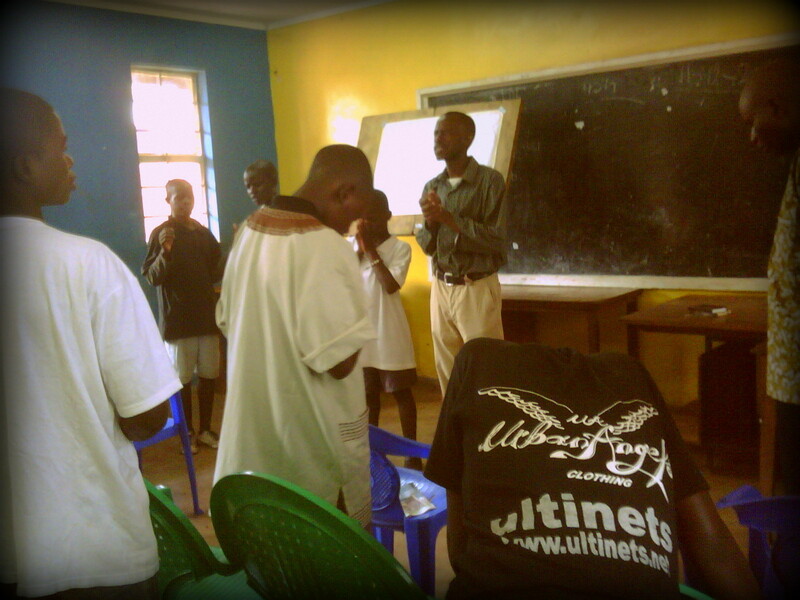 Our time in Lilongwe was no different, God breathed on our every word. We met with our brethren there 3 different times: two times outside in front of the Post Office and the third at one brother Clifford’s house. 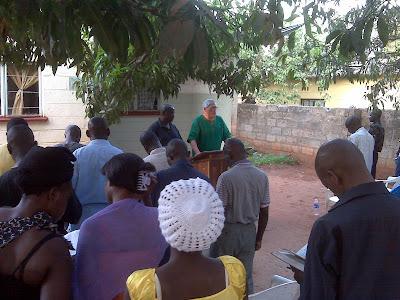 Each time we were amazed at people’s hunger for the Word of God. We spoke about Grace not being just a characteristic of God but encompassing His entire nature. The other memorable occasion was the arrival of Pr. Scibelli for his trip here. What was particularly branding was seeing the same Clifford whose house we had visited a week earlier now visiting us here in Lusaka and experiencing Body life. Every October we do a men’s leadership conference. This year was amazing because we brought 30 men (along with my family and the Speedy’s family) to the 4-month-old Livingstone church. Clifford was sponging all the life that he could from Pr. Scibelli and the Zambian leaders. 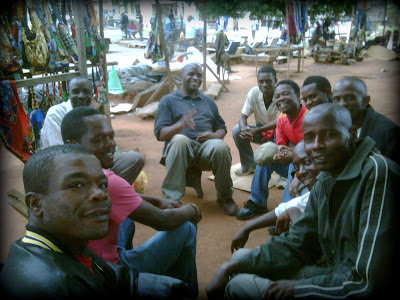 All in all, Clifford spent a week and a half here in Zambia; but the eternal value of the fellowship…priceless. The 3rd memorable occasion was on a sad note, but glorious nonetheless. A few weeks ago we lost a young man and heaven gained him. He had conviction, focus, and divine love. God brought him home. His father died last year and he followed at only age 17. The night he died, his last words to his Mom were to keep going forward, keep attending church, go to the South African conference. He said, "I will be fine, I am going to see my Dad..." A few minutes later he stepped into eternity. His name was Zienzo Kunda. His mother and two sisters who are left behind were full of faith and so strong. 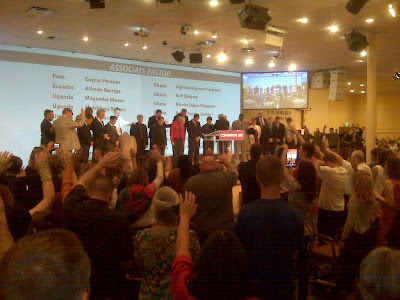 The funeral was incredible; I think it was the most anointed funeral I have ever attended. Usually Zambian funerals have a lot of commotion involving drinking at the gravesite and other distractions. There was none of that. Over 400 people attended, 300 of which were his fellow students. I was amazed at what an impact his life had, and to us he seemed quiet and shy. I am overwhelmed, what a precious young man, what a Savior that transforms us. Lastly, there was an incredible divine appointment, the kind that you have few times in your life. The world calls them coincidences, but God has a purpose for them. The other day I was with my family in the local Supermarket, and from a distance, I saw a man with a Zeke’s Coffee T-shirt (from Baltimore). I began to walk over to him and introduce myself as a fellow Baltimore native. Instantly I recognized him and my brain began a deep search from where we had met each other. Then I remembered, we were in the same Biology class in Baltimore Community College 10 years ago. Not only were we in the same class of about 30 people, but we were Lab partners as well. I recalled even witnessing to him. We exchanged phone numbers and he told me he has been in Lusaka for 6 years. We must have past each other a number of times in the last 4 years that we have been here. I was overwhelmed because a little over a year ago Dave Petersen (a great friend from Baltimore) also met a fellow classmate that he hadn’t seen for 10 years while visiting here in Zambia. It also was a few stores over. It seems like Lusaka is haven for former classmates or even more so, that God is a God of the miraculous. 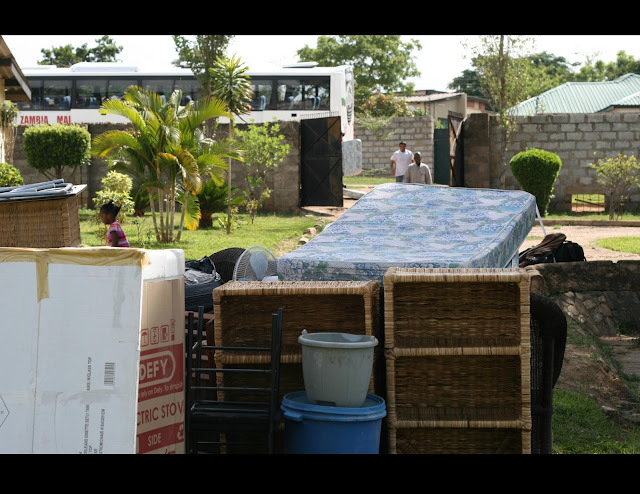 It has been 2 weeks that we have been back and have jumped right in to all that is going on here, as well as, preparing for the move to Malawi. Upon arriving, I received the whole story of how our church constitution in Malawi was approved and it was such an encouragement of how miraculous it was. Also, I want to thank the two men who worked so hard to make it happen, Pr. Albert Ntalasha and Pr. Enock Muchindu. These men are heroes of God's Faithfulness. 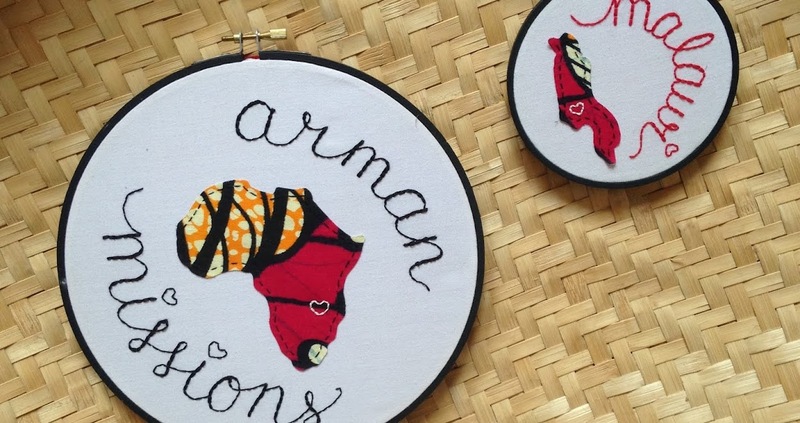 We plan on making two more trips to Malawi before moving there. The first trip will be this Wednesday. Pr. Renaldo will accompany Pr. Albert, Pr. Enock, and I. We are believing God to start a bank account for the church, which can be somewhat challenging with alot of paperwork and to begin looking for housing and a room for the church. We really have it in our hearts to be in the same Community center that we have had all our previous Bible studies in. 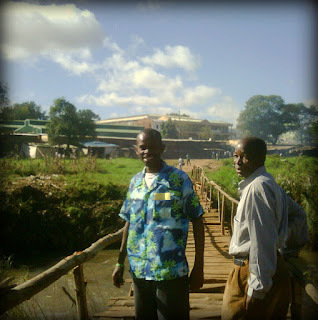 The manager of that building is Mr. Sakala, and we are praying that space will be available there for us to start renting to have Church and Bible College. We are also praying to move to a residential area that is close to the center of town called Area 3. There is a real demand for housing in this area so we are believing God for a miracle, but the Bible says that we have not because we ask not. So we are putting these prayer requests out in specifics so you know what and how to pray and then we trust God. Visitation is such a vital part of church life. Today we visited a precious couple in the church that has been with us since the early days of the church here. Davis and Pricilla got married at our April conference four years ago by Pr. Scibelli. They had recently moved and wanted us to see their new place. Their new place is about a mile from the biggest market in the country and Saturday is market day. It was awesome… Definitely a “TIA – This Is Africa” story. As we approached the road to the market we found gridlock traffic about a quarter mile before the turn. We thought a dignitary was passing or a huge accident…no just City Market. There is a four way traffic light which people heed when it suits their schedule or to avoid an accident. That causes a four lane traffic jam in a two lane road. Amazingly, there are no accidents or pedestrians killed, but mini buses are cutting each other off and there is a symphony of horn blasts. After a half hour we made it through the laberinth of cars past City Market to meet Davis at a gas station around the corner of his house. “Where have you guys been, I’ve been waiting for you, “ he says. We just smiled and nodded. 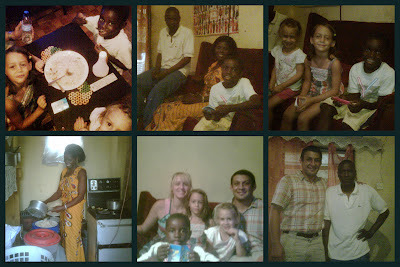 We walked into his 3 room house greeted Pricilla and had great fellowship. Oh how valuable! Talking about what God has done, reminiscing about God’s faithfulness; worth even braving the traffic of the DC beltway. After an hour, we said our goodbyes, prayed for the house (the code for we have to leave now in Zambia), and went right back the way we came, praising God, lowing as we went (1Sam 6:12). On our way throught Lusaka traffic and Market area..
We are asking for your prayers for this precious family who just lost their teenage son tonight (sunday)here in Zambia. Their lost their father last year and this family is so precious to the body of Christ here. God has a plan. Pray for his mom Olipa and two sisters, Dorothy and Natasha from the church of Lilanda. Thank you. 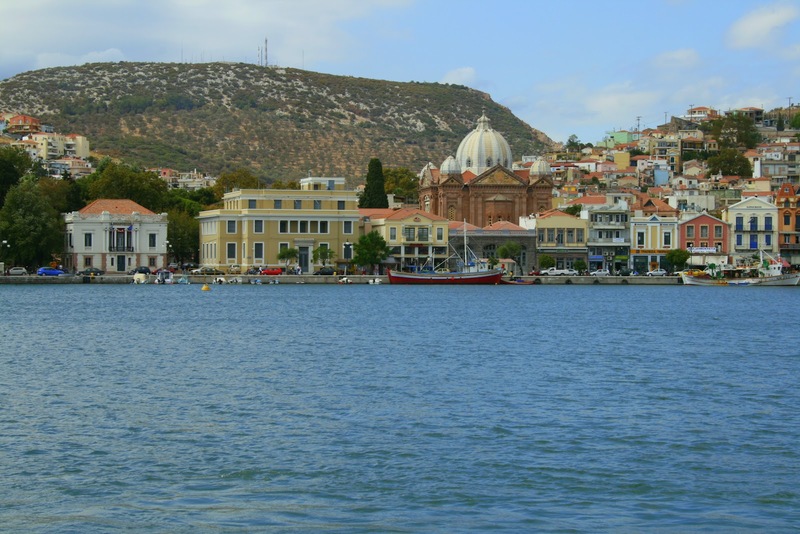 This Church was built where it is believed that the Apostle Paul preached. - Mytilene. The Native Island of Chris' Mother where she grew up, before moving to America when she was 12 years old and moved back to about 25 years ago. We can see the Coast of Turkey! And Poema's 4th Birthday happened when we were on the Island! And Now after a long trip (about 8 planes in all) we are back in Zambia for the next few months before the big move to Malawi! God blessed us with our approved church registration!!! At the same time, we also submitted our paperwork for our residency permits which will permit us to live in Malawi. In all, the trip was for two weeks which also gave the oppurtunity to visit with our future church members. Pr. Albert and Pr. Enoch had a great time visiting and even having an informal church service with disciples in front of the main Post Office. We wanted to thank you all for your prayers, love, and support. 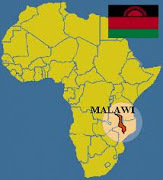 God has great things in store for the precious people of Malawi. They are the treasure of that great land. We have great hope and expectation that Malawi will play a great role in reaching the whole of Southern Africa and other parts of the World. 1. The right location for the church - I really feel that we should be in the Community center at a place called "Falls". We have had all our Bible studies there. Pray that God opens the doors there for an open room. The man in charge is Mr. Sakala. 2. The right location for the team house - Area 3 is a very safe area near downtown. It would be the perfect place for us to live. We are praying for a main house with a guest wing (small house) in the back to accomodate our family and Pr. Albert and other future team members. 3. For God to raise up disciples - "peoples whose hearts God has touched: 1Sam 10:26". We already have a group of about 10 to 15 whom we have met with regularly. 4. 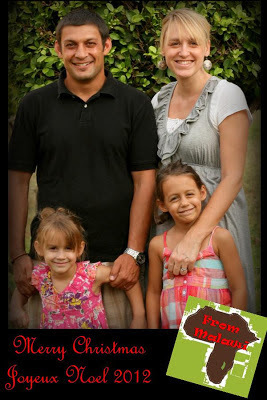 Also pray for one couple who will remain unamed, but who we have befriended and really needs a touch in their marriage. I am writing you at the close of our International Convention in Baltimore. We have truly been overwhelmed with joy in this past week. For one week the Church in Baltimore with all GG Churches, missionaries and foreign nationals-that were able to come- from all corners of the world converge in one plaza and look to God for insight and inspiration. Saturday night was a perfect culmination. The two messages that closed the conference were dripping with anointing and impetus. Pr. Morrisson and Pr. Schaller spoke on counting everything loss in life to win Christ and finding the pearl of great price which is Christ. Our hearts are so thankful to God, that we are a part of such a spiritual family. Pr. Schaller mentioned that we value our fellowship so much that we tread carefully with our words so as not to quench the Holy Spirit. As I looked at Pr. Stan Collins in Peru, Pr. Anil and Devendre in India, Pr. Veader here in Baltimore, and really everyone; I thought of Luke 3:16 where John said that he was not worthy to unloose the shoe of Christ. That is the kind of reverence we can have for each other. Each member is so sacred because they are a member of Christ's body. And Christ would tell us thank you for cloathing me or feeding me like in Matt 25:40. 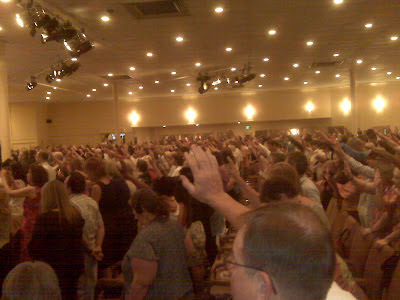 Convention 2012: "To live is Christ"
After a week like this, I have the longing for the day when it will be a heavenly convention and we will have a new fellowship that is beyond borders and geographical barries. But truly we had that same fellowship. My wife, family, and I had the great privilege of visiting the Greater Grace Church of Pretoria, South Africa, as well as travelling to the southern part of South Africa to visit some friends/workmates who are also amazing believers as well. The church there is vibrant, healthy, teaming with love and fellowship. It was a pre-convention warm up for us: Bible college classes carrying on into the night, fun times of evangelism with the sketchboard on the streets, Barbecueing and the Word 9what a combo) with litterally the whole church at Pr. Jabulani's house...amazing. We have a eternal expectation for the rest of the summer for visiting a number of our branch ministries, working, and plugging into the Baltimore schedule. While we are here, Pr. 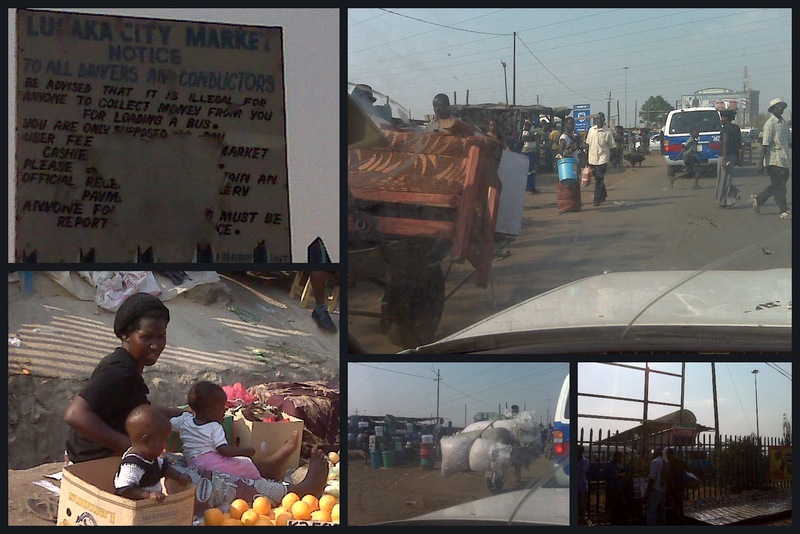 Albert is in Kitwe, filling in for Pr. Adam Speedy, and gaining great experience leading a ministry. His uncle, Pr. Bernard is with his team getting established in the opposite direction in the south of the country really ministering to the people of Livingstone. They just emailed us that they are starting two new Bible studies in people's homes in two of the biggest neighborhoods of the city. Pr. Belias, Pr. Enoch, and Pr. Mervin are at the helm of the church in Emmansdale, Lusaka; while Pr. 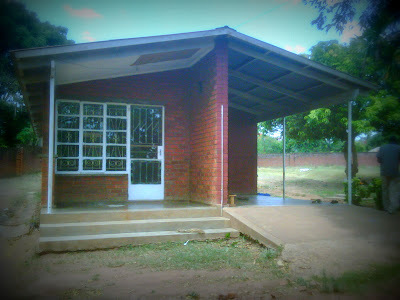 Tembo(Lilanda), Pr. 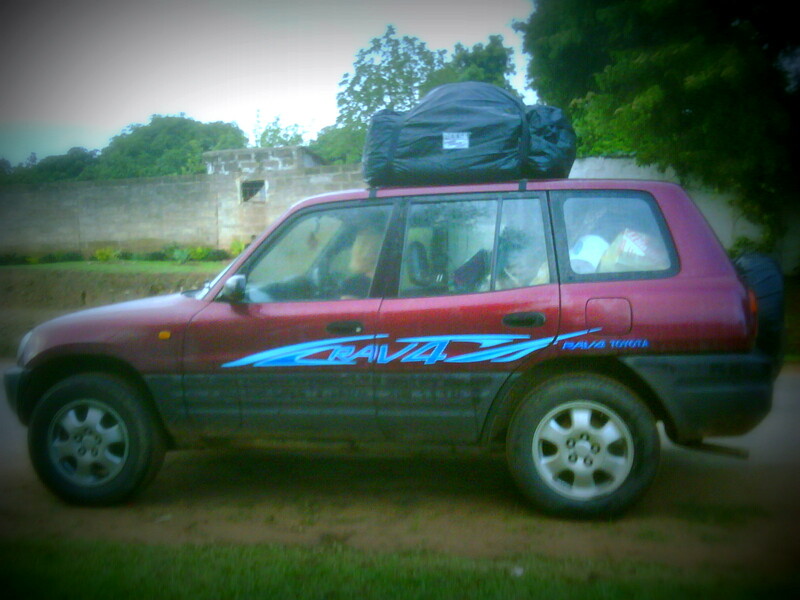 Paul (Ngombe), Pr. Nelson (Chawama), and Pr. 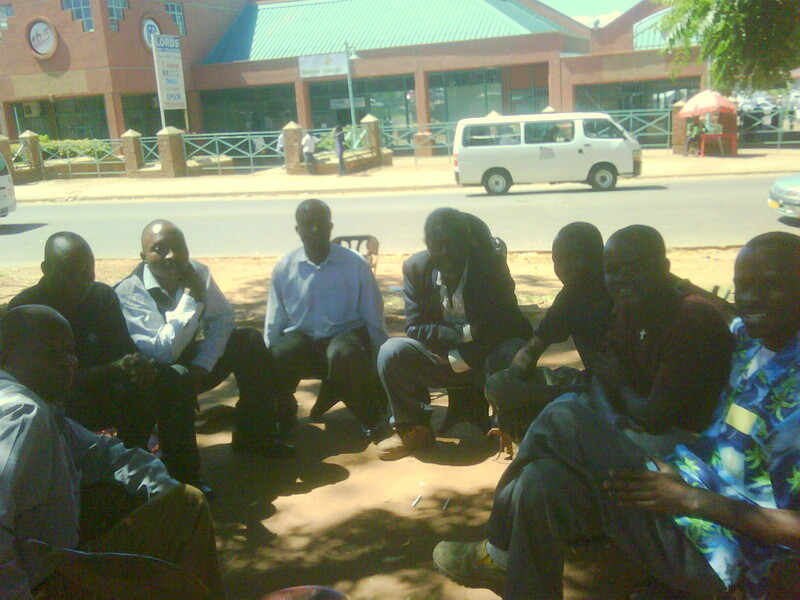 Martin (Kanyama) are going forward in the other four churches in the city (with their respective areas). Thank you so much for your prayers, support, job oppurtunities given, love, encouragement. We truly get to witness the power of prayer in action. Your prayers move mountains, open doors, bring divine contacts, and deliver lives. We continue to ask for them. Jim Elliot said it, "Missionaries are very human folks just doing what they’re asked. Simply a bunch of nobodies trying to exalt Somebody." Don’t think for one second that our sacrifices are any harder than yours. there are not. And since I view every Christian believer as a missionary, wherever they happen to live, we are just a bunch of nobodies trying to exalt our beloved Somebody. The truth is, we all, if we are living a life surrendered to His will, have our own crosses to bear. Our own sacrifices to make. They all look different, but they all feel very much the same. And most of those sacrifices, no matter where we live on the globe are mostly made up of those small moments woven in. I think a life of surrender means being so in love with our Savior that we willingly fling up our hands and tell Him we are willing to do whatever He asks of us, no matter what that means. And, doing it every day, again and again. We've been back in Baltimore for a week now and Chris brought our girls to their 1st Judo Tournament at Sensei Mike Veader's Dojo! They had a great time and won their first metals! Ha!